Accredited by the Association of Independent Maryland Schools (AIMS), KSDS offers everything you’ll find at an independent school – excellent academics, arts, athletics, technology, special programs and fantastic field trips. Our students are academic and athletic, artistic and analytical. Our student-teacher ratio is low. Our campus is green. Our teachers are committed. Our parents are involved in all aspects of school life. Each student gets individualized attention as he or she learns to excel in the classroom, the art room, the lab and the gym. KSDS creates well-rounded students. Our active learning environment integrates approaches. Students might learn social studies and language arts together. Arts projects might become a vehicle for cementing understanding across the curriculum. What’s unique about KSDS among other independent schools is that all this happens in the context of deeply rooted Jewish values. Hebrew language is part of the fabric of school and student life. Our students study Torah in the original. They learn the principles of derekh eretz and kavod, principles that guide ethical behavior. They learn the value of mitzvot and tikkun olam, values that prize service to others and to the world. Among Jewish day schools, we are marked by our egalitarian approach, which gives all students opportunities to fully participate. Also unique is the Grade 8 capstone trip to Israel. The trip represents the culmination of years of learning about our Jewish heritage, religious practice and tradition, as well as years of practice speaking modern Hebrew. 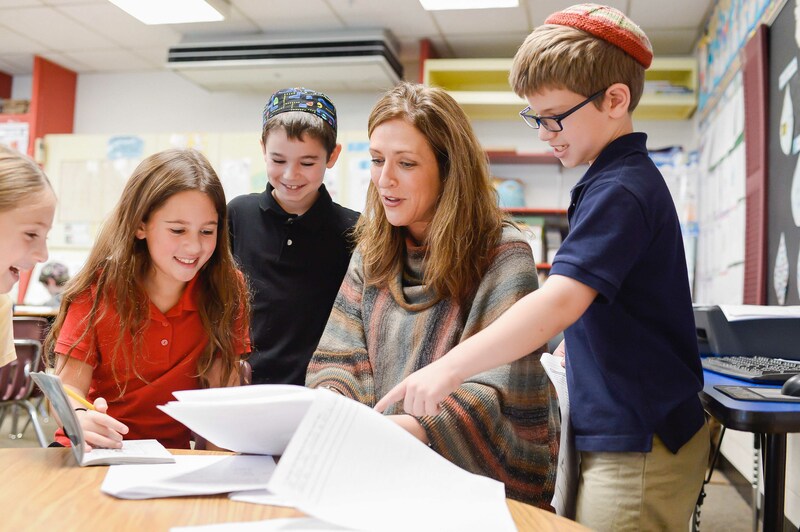 Our bilingual, English-Hebrew curriculum lights up young brains. The KSDS student is fired up about learning. We light a spark that never burns out.